CCTV (Closed Circuit Television) is a TV system which monitors specific areas for security and surveillance purposes. The cameras should be placed strategically so that they are best able to capture any suspicious activity. CCTV has many benefits in reducing crime. This article will look at some of those benefits as well as the best products you can invest in for your CCTV system. 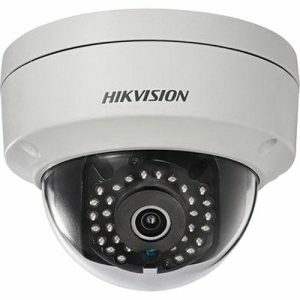 CCTV is used for both residential and commercial properties. Let’s take a look at some of the benefits businesses and homeowners can enjoy through the installation of these camera systems. Monitoring Intruders: CCTV monitors intruders and any possible criminal activity that may occur on a property. Those that are made aware that they are being filmed are less likely to do anything illegal. This reduces the possibility of violence and theft that could occur and incur a good amount of emotional and financial distress. Also, any illegal activity is caught on camera, leaving no doubt as to exactly what occurred and who was involved. In fact, because a CCTV system provides such accurate evidence, most can resolve a theft without having to make a claim. 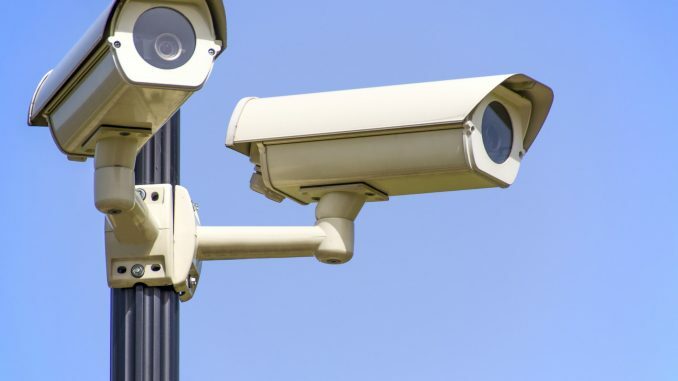 Reduces Security Expenses: Although CCTV systems can be a big investment, it will result in long term savings for businesses who can use the system as an alternative to hiring a security staff. It also helps your managers and employees focus on their jobs without having to worry about possible security issues. Reduce Insurance Premiums: When submitting information to an insurance company to determine what your premium will be, every form of security you use in your home or business will be taken into account including a CCTV system. These forms of security will all work to reduce your premium. This is another way that proves a CCTV system is a good long term investment. Does it come with an inbuilt card slot or does it require separate internal storage on a DVR? Today, may CCTV cameras are self contained systems in and of themselves. They come with a micro SD card slot in them. Users can insert memory cards of various capacities for recording use. Pan/ Tilt: Many cameras can rotate to cover a large area of space around them. The maximum angle can rotate horizontally is called the pan and the vertical angle is tilt. They all vary in the amount they can pan and tilt and some can be remotely rotated using an app. Image Quality: This is determined by the resolution of the camera and, the higher the resolution, the better the image quality. Higher resolutions will also require a higher amount of storage to record so cameras with built in storage will get filled easily. Some cameras can self erase and keep recording, but this does result in a loss of data. All of these things should be considered when making a purchasing decision. Motion and Audio Sensor? Motion and audio sensors can detect and alert owners about unusual activity through a mobile app. Cameras with this feature are a bit more expensive but may be worth it to some. Installation and Set Up: CCTV cameras tend to be easy to set up since there are no cables or wires involved. The ease of installation will mainly depend on positioning and mounting. Cameras with sticky pads or magnetic bases are easy to install, but screwing them in will make for a more reliable installation. Can you use it to video chat? Some cameras have an inbuilt microphone that allows for two way communication. This can be useful for those who want to check up on kids that may be left home alone. Is it waterproof? If you are planning to install your camera outside, it must be waterproof. What accessories does it come with? Accessories that come with a camera can include mounting stands, power screws, cables and power adapters. If your camera does not come with these accessories and you end up needing them, this will result in an additional expense. Infra-Red LEDs: These are small bulbs that are located on the sides of the lens of the camera. They provide infra-red light for night vision. The more LED’s that are present, the better quality the recordings will be. Range Of the Camera: A great range means that objects will appear clearer on film. This is determined by the focal length of the lens and the size of the image sensor. Higher range is essential for outdoor CCTV cameras. Offline/online Capabilities: If a CCTV camera has an inbuilt hotspot, it will allow users the access the live stream on their smartphone without an internet Wi-Fi. However, this will only work within a limited distance from the camera. CCTVs with this feature will have an antenna and allow monitoring of certain areas without an internet connection. Does it connect to an existing DVR? If you are buying a CCTV camera for an existing DVR, make sure it is compatible with it. Whether you are installing your CCTV system yourself, having one installed for you by professionals or work in the security or electrical field and do these installations professionally, it is good to be familiar with the top products available in closed circuit television. The camera is a very important component in the system. Here are some reliable options for cameras available on the USESI web site and in various USESI brick and mortar locations. Arecont Vision AV8185DN Day/Night Panoramic IP Camera 6.8 Inch Diax6.9 Inch Height 8MP 180 Degree: These cameras feature a dual encoder, 8 MP resolution, IP addressable 180 degree with integrated 4 high sensitivity 2 MP sensors, 8 mm lens, vandal resistant dome with water and dust protection and optional heater/blower, It can output a multiple image format allowing for simultaneous viewing of the full resolution field of view and regions of interest for high definition forensic zooming, IP camera meets FCC Class A, CE and RoHS standards. 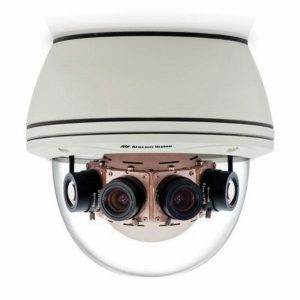 Speco HT7246H Vandal Resistant Intensifier H Series Dome Camera 700 TV Lines 2.8-12 mm Auto Iris: This model features heater circuitry and an anti moisture glass that eliminates fog and condensation. It amplifies the existing light with no distance limitations. Its relay outputs help with motion detection. It has a 3 axis lens that is vandal and weather resistant. It has a 2.8 – 12 mm auto iris varifocal lens which supports 700 lines of color resolution. It is suitable of outdoor and indoor use and can also be ideal for an elevator, lobby, hallway and dark area. The dome camera is cULus listed. DS-2CD2142FWD-IS Day/Night Dome Camera 4.4 inch Dia x 3.2 inch Height 4 MP 106 83 55.4 Degree: This is a day/night dome camera that captures up to 4MP high resolution HD real time video. It has a 2.8mm/4mm/6mm fixed lens which help to cover information from up to a 120-dB wide dynamic range. The camera supports H.264+, DC12V and PoE. It meets PSIA, ONVIF, PSIA, CGI and ISAPI standards. DS-2CD2132F-I Day/Night Dome Camera 4.4 Inch Dia x 3.2 Inch Height 3MP 86 70 43.3 20.6 Degree: This day/night dome camera captures 1.3MP/3MP high resolution HD real time video. It has IR LED that help to cover information up to 100 ft and is IK10 vandal resistant. The dome camera has an on board storage capacity of up to 128GB. Ring 88SC000FC100 Stick Up HD Camera 1280 x 720 720P Black: This camera has an 80 degree viewing angle. It is a bracket mount camera which includes accessories like a stick up cam, security mount, quick release mount, screwdriver handle, screwdriver bit, drill bit, micro USB charging cable, installation screws and anchors and a quick set up guide. It features band grade encryption and offers lifetime purchase protection. It is an indoor camera and is suitable for desktop computers. A CCTV system can be a great investment for any business, reducing criminal activity while keeping other costs down. If you are looking for CCTV equipment for your home or office, consult the electrical distributors at USESI. They have top of the line electrical equipment that is sure to suit your needs, whatever they may be.